I’ve seen it too many times. People start awesome local businesses, but with business names or domains that are not optimized for success. At least not for search engine success. 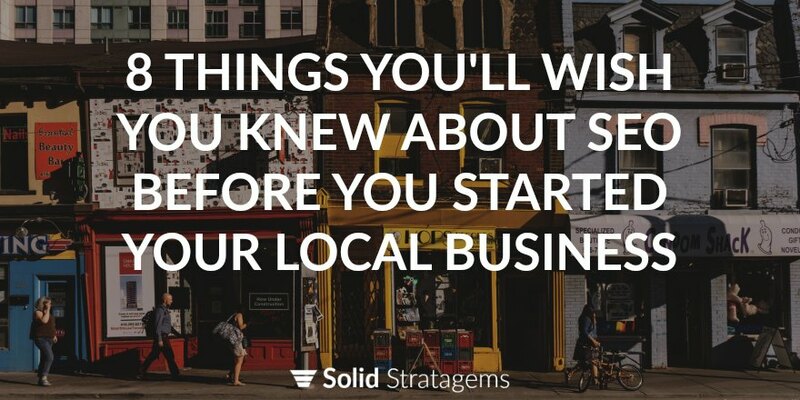 Local searches can add anywhere from up to a million to much more in annual revenue for a local business. So if you’re serious about attracting a lot of local search traffic – this is what you need to get right before you even open your doors. Quick Note: At a future date I may go more into why each of these tips are crucial. For now, this post is intended to focus more on the suggestions and not dive deeply into the explanations (some of which are common sense and others go deeper down the optimization rabbit hole). When you set up your Google business profile, Google will ask you to select a “primary” business category. This “primary” category is important because the category you choose will be the category Google considers you a local authority in. Here’s what you should know about your primary category before you choose it. It will be your bread and butter. It’s what you want to rank highest in search engines for. It should be what you do better than anybody else. It should be what you’ve perfected (or at least are committed to perfecting). It’s what will get people talking about you. It’s what will get people in the door. As of today, Google has 2,395 separate categories for local businesses. If Google has created a category for your type of business, there’s a good chance people search for it. On the other hand, if Google hasn’t created a category for your type of business, you’re probably not starting a business that gets a lot of local search traffic. Want to take a look at your business category options? Check out the local business category list. After you’ve identified your “bread and butter”, it’s time to identify your million dollar word or phrase. This is the word or phrase that people use most often when searching online for a business like yours. How do you discover such a phrase? For example, if you’re starting a “Pest Control Service” (this is Google’s category for pest control companies), you might use Google Trends to compare “pest control”, “exterminator”, “exterminators” and “exterminating”. The graph is clear. Searches for “Pest Control” outpace all others by a long shot. The two-word phrase “pest control” is the million dollar phrase. Discover your million dollar phrase with Google Trends. Choosing an optimized business name can have several benefits. Here’s what you need to keep in mind. Including your million dollar word or phrase in your business name will have lasting search engine and conversion rate benefits. Let’s go back to the pest control example. The name “Orkin Pest Control” will over time be of greater benefit than “Orkin Exterminators”, “Orkin Exterminating” or just plain old “Orkin”. An optimized business name is short, but not too short. More specifically, your name should be between 5 and 15 characters (not including spaces). You’ll learn more about why when you choose your domain name and your handle/vanity URLs (for social profiles). Don’t make it a name that’s hard to remember or hard to spell. Your direct website traffic and returning website visitors (not to mention referrals) will both be greater if you have a memorable name that’s easy to spell. There is a good chance the business name you want isn’t available. Not only does your business name need to be available but the appropriate domain name and vanity URLs (for social profiles) need to be available too. Choose an optimized domain the first time. You’ll be happy you did. Here’s what you need to know about your domain. By default, this means it will include your million dollar word/phrase, be between 5 and 15 characters (not including the .com), be easy to spell, easy to remember and available. You’ve got to get yourself a domain name that has an available .com. This means many of the business names you’ve thought up won’t be available (or at least not for $12). The .com will have search engine and conversion benefits. Most websites use the www. For example, the two giants are www.Google.com and www.Facebook.com. But many business owners don’t realize they’ve chosen a non-www. URL as their canonical url. For example, twitter uses twitter.com not www.twitter.com as their canonical URL. For those who want to go more technical visit my post on www vs. non-www URLs. Good branding means you keep the same handle/permalink/vanity URLs across all of your social profiles. If you use your optimized business name as your social handle/permalink/vanity URL you’ll be happy you did. Your keyword rich business name will result in a lot of relevant links and anchor text. Choosing an optimized address is very important. You can read my full post about how to choose a business location search engines will love. Here are the criteria for an optimized business location. Your phone number matters! Believe or not Google has actually created profiles for local businesses based only upon a business landline being installed for the business at a particular address. In other words, they’re aware of the business name, address and phone number just based on info the phone company provides. Here’s what you want to do to optimize your phone number. Get a local area code, not a 1-800 number. Stick with a business (not residential) phone line / service provider. If possible, choose a landline (VOIP is not a landline). Be sure your phone company uses your exact address (with the proper structure) on their records. Be sure the phone company lists your exact address (using the proper structure) in their business directory. Not all phone service providers will meet the above criteria. Usually, in each city, there are only one or maybe two companies that provide business landlines and directory listings. Stick with them. Quick Tip: You can always use additional VOIP lines for tracking and analytics purposes, but the line that’s listed on your Google profile and other local directories should meet the above requirements. A permalink is the part of the URL that comes after the domain name. For example, the URL www.Google.com/business has ‘business’ as a permalink. Each URL you create on your business website will gain authority (aka ranking power) over time. When you change the URL you lose the ranking power you’ve earned. If you have to do this you can create a 301 redirect and pass most of the authority to the new URL, but it is hands down better and less of a headache to get them right the first time!